Calais migrant theatre Good Chance is to base itself in London for nine days of performances, featuring artists from countries including Syria, Iraq and the UK. The news coincides with the announcement of a fundraising gala organised by director Stephen Daldry, which is aimed at helping the company to build more temporary theatres where there is a need. From July 30 to August 7, the Good Chance dome theatre  will be based on the terrace outside the Southbank Centre. The venue will host a project called Encampment, which will offer a mixture of free events, including theatre, art, music, discussion and workshops. The programme of work seeks to “raise awareness of and reinvigorate the dialogue on one of the biggest human migrations in history”. Work being presented includes a new devised project created by Good Chance, Lebanon’s Zoukak Theatre Company’s The Last Tablet and an exhibition of art created by residents of the Calais camp. There will also be a guest reading from Michael Morpurgo. In addition, Daldry, who is chair of Good Chance, and charity Quintessentially Foundation have organised A Night of Hope in aid of Good Chance, supported by Ambassador Theatre Group and Sony Pictures Television. This will take place on July 4 at the London Wonderground. A Night of Hope features a line-up of special guests and live performances from acts including Maria Friedman. 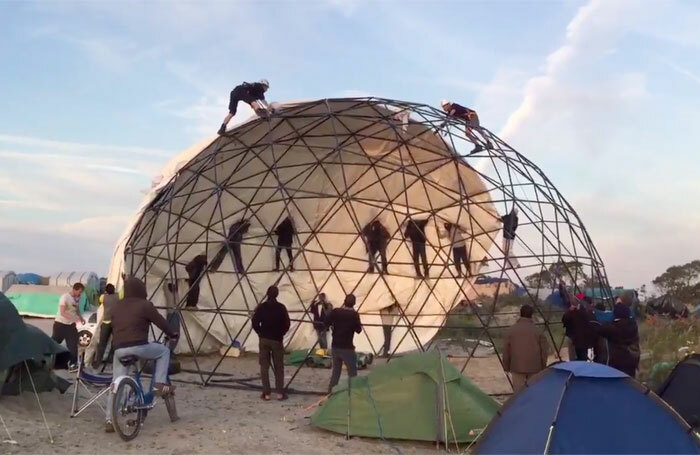 The gala aims to raise funds to allow Good Chance to return to Calais and re-build in the Jungle refugee camp and to build temporary theatres wherever there is need.